Basing yourself in the centre of the island in the laid-back but modern town of Lagoa da Conceição - with its selection of supermarkets, coffee shops, restaurants and beachwear stores – is a popular choice. However it will mean that a bus is required to bring you to/from a beach. If you prefer to be in a less busy town, and only walking distance to a few excellent beaches, then Barra de Lagoa is a good base. Booking months in advance if travelling during the peak summer season (January and February) is advised. A beautiful boutique property located in town on the edge of Conceicao Lake, close to all the action. Designed to reflect an old-style Portuguese hotel, the interiors at Quinta das Videiras have been lovingly decorated with a lot of time and thought. 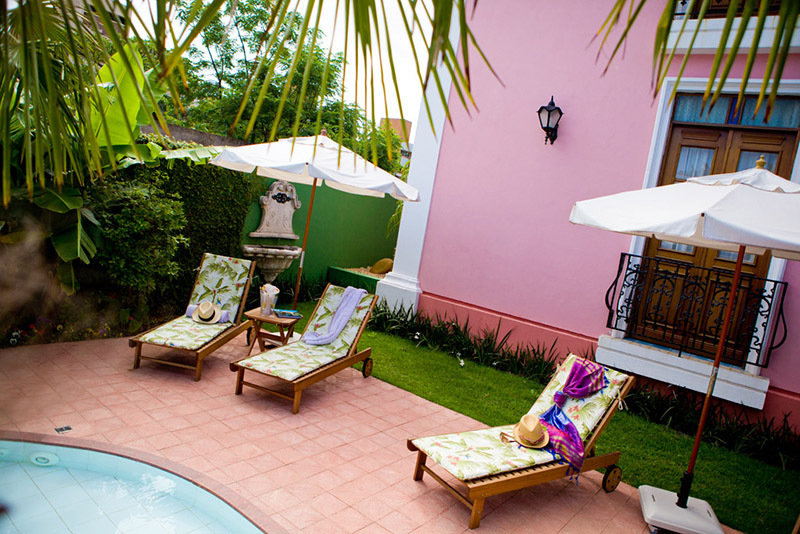 Onsite is a lovely outdoor pool area in which to enjoy a glass of wine. This is a perfect base for the more independent traveller who would enjoy exploring the island at their own pace. 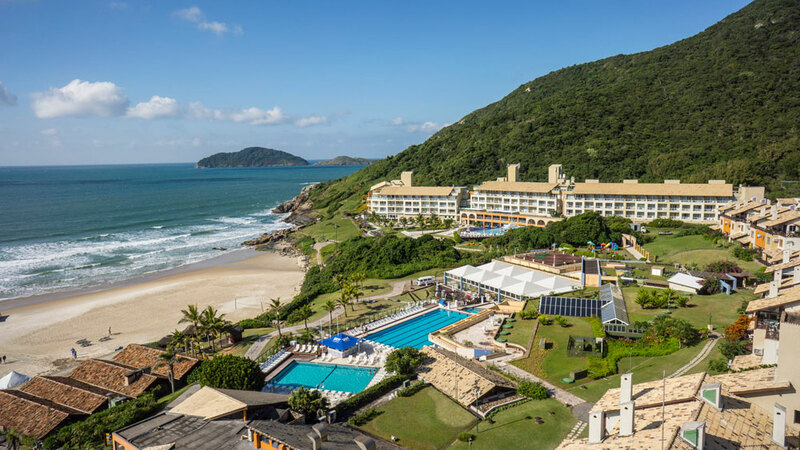 Situated on a white sandy beach in the northeast of Santa Catarina, Costao do Santinho All-Inclusive Resort hosts a varied schedule of leisure activities and hikes, making it an ideal getaway for families or indeed any traveller who doesn't like to sit still for too long! Among its facilities, the property features two large swimming pools, a Pilates studio, restaurant and large golf course. The hotel takes its social and environmental responsibility seriously by supporting local artesanal fishermen. 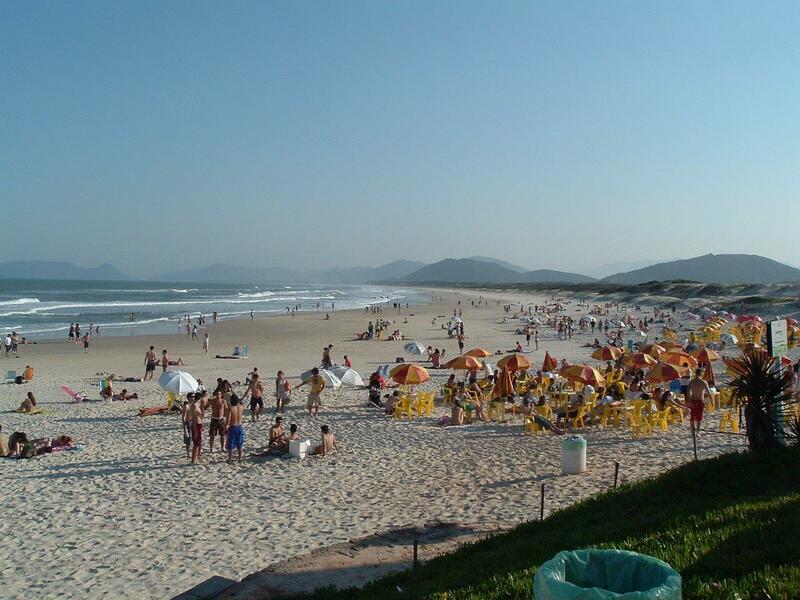 Santa Catarina island is more commonly referred to as, and actually forms part of, the city of Florianópolis. However, once the bridge connecting it to the mainland has been crossed, the hustle and bustle of a big Brazilian city quickly fades away. On the island side of 'Floripa', the city actually feels a million miles away. Despite its popularity as a summer destination, and its easy accessibility by road, Florianópolis has remained true to its roots and continues to feel authentically - painstakingly - Brazilian. 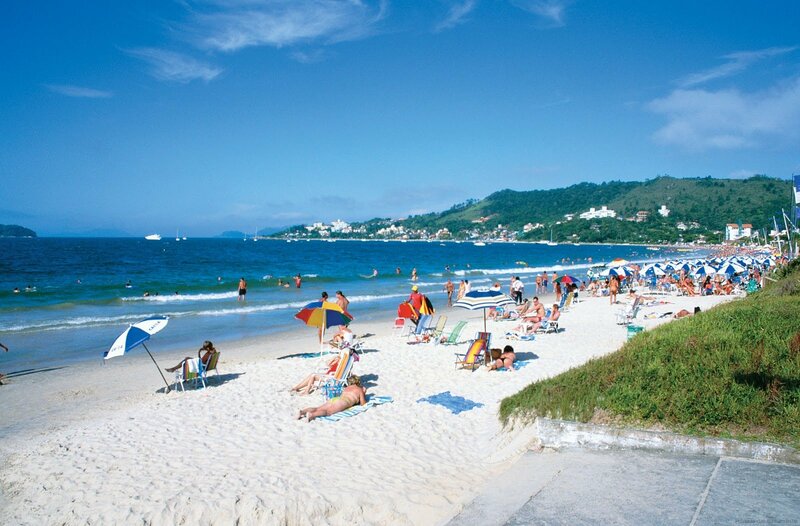 And, although there is no doubt that a significant section of the summer crowd is composed of young Brazilians coming to divide their time between the beach by day and the popular clubs by night, it is easy to avoid this element entirely and experience Floripa on your own terms. Travellers seeking out the best beaches for fun and sun should make a beeline for the stylish Praia Mole, touristic Barra da Lagoa or family-friendly Joaquina, which also has excellent surf. Each is large enough to find your own spot and enjoys good facilities with meals and drinks available from sellers dotted along the beach or from cool beach bars, like Kookoon in Praia Mole. For a little luxury alongside the rich, famous and body-conscious of Brazil, then Jureré in the north – which also doubles up as nightlife central – is the place to be, however it does suffer from large crowds. If that isn't your travel style, then Santinho in the north and Matadeiro in the south are gorgeous, undeveloped and secluded beaches. However, the best 'off the beaten track' option in Florianópolis requires walking shoes rather than Havaianas. Rightly viewed as one of Brazil's hidden gems, the untouched beach at Lagoinha do Leste - flanked by lush green rainforest and warm lagoons - is the stuff of dreams and only accessible via a two-hour trail through rugged rainforest. We recommend hiring a guide to get the most from your day and to ensure you stay on track. If travel is more about new experiences and adventure than spending all your time sunbathing, then Florianópolis also provides the perfect environment for outdoor sports and leisure. 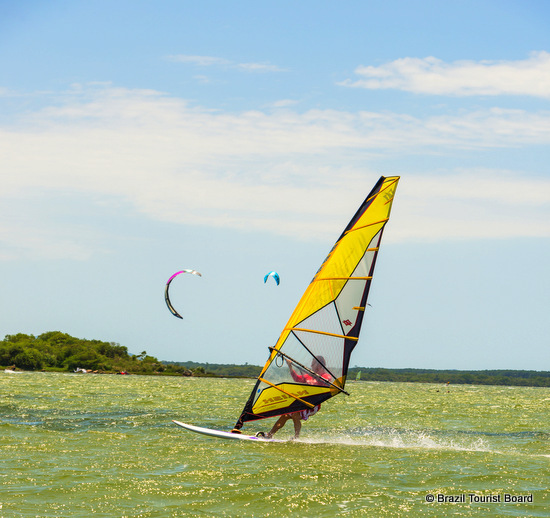 As well as the chance to sand-board down Joaquina's dunes (no booking necessary), SUP boarding, jet-skiing, wind and kitesurfing are offered on the banks of Lagoa da Conceição. For the true thrill-seeker, paragliding from the cliffs overlooking Praia Mole with Zona de Moo will give you the best panorama on the island. There is also no better place to learn how to catch a wave in South America than here in Brazil's surf capital. Private lessons can be found with the Evandro Santos Surf School, or you can rent your own board for the day and head to Barra de Lagoa's perfect learner waves. Half day-trips to the beautiful fishing villages of Riberão da Ilha in the south or Santo Antonio de Lisboa in the north also offer a nice change of pace and scenery. As well as picturesque colonial Portuguese architecture and narrow cobblestone streets, foodies will adore the popular lunch of fresh locally sourced oysters by the beach. Ostradamus restaurant in Riberão is arguably the pick of the bunch. Despite only covering 164 square miles, Florianópolis and its forty-two beaches offers up so much of what each type of traveller loves about Brazil that the easy choice is deciding to visit this part of the country; the difficult one is deciding when it's time to leave. Public buses are the most popular way to navigate the island. A one-way journey costs 3.10R but long waiting times and crowded carriages are not uncommon. If you are visiting for only a few days, car rental is an excellent way to cover a lot of the island and something Latin Routes can arrange for you ahead of your visit. What is the quintessential Brazilian beach experience? For some, it will all be about catching the perfect wave, playing barefoot football with group of local kids and sipping coconut water in a secret piece of paradise. For others, it can mean watching leather-skinned fisherman bringing in their daily catch in colourful wooden boats, sampling fresh seafood or açaí deserts and a chance to relax in tropical surroundings. For more than a few, it may solely entail endless caipirinhas, beautiful people in skimpy swimwear and all-night dance parties in a white-sand wonderland. Thankfully, there is a small island in the south of the country - only ninety minutes’ flight from Rio - where sunbathers, surfers and nature lovers can all find their perfect slice of soft sand and clear waters for a few days or a few weeks. An island where travellers can choose between every possible version of the Brazilian beach experience from not one, but forty-two, gorgeous beaches. Stray far from the beaten track with this holiday tickign off some of Brazil's lesser-known destinations. 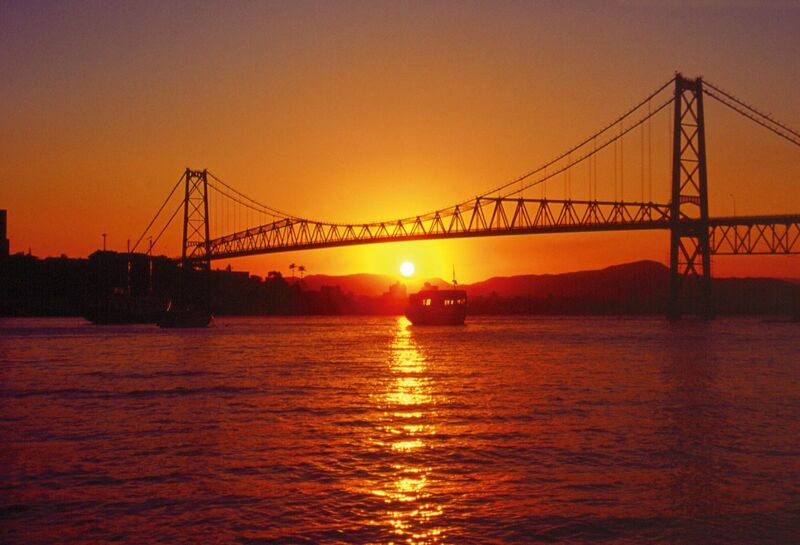 Begin in Sao Paulo with its mix of cultures and wonderful cuisine, before taking in the sea side oasis of Florianopolis. Fly north to some of Northern Brazil's loveliest beaches including the coastal city of Foraleza and intriguing sand dunes of Florionopolis.